I feel sorry for anyone who tries to make a third-party assistant app popular on iOS or Android, which already have their own assistants (Siri and Assistant, respectively) fully baked into the operating system. But here at its Build conference, Microsoft is showing off “Microsoft Graph” developer tools that use its Cortana assistant to sync up experiences among Windows, iOS, and Android. A newsreader app, for instance, could load the story you were reading on Windows on its iOS version, using Cortana notifications to help you transition between the two versions. Whether this amounts to much is contingent on it working as well in reality as a concept, and developers embracing the concept. 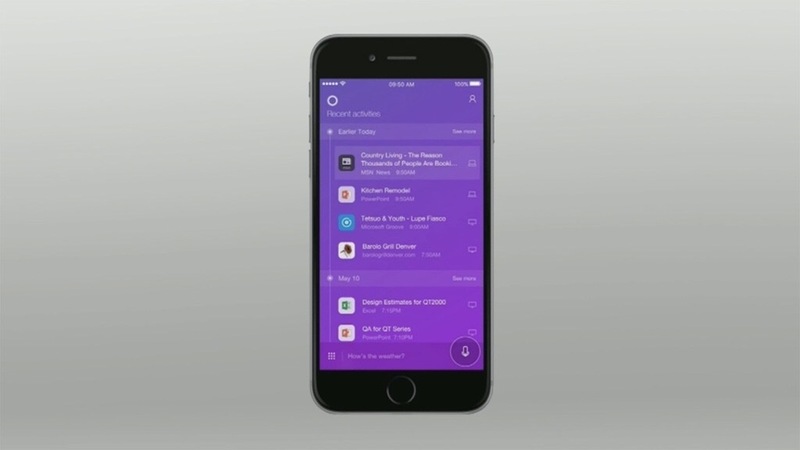 But it’s an intriguing idea that goes beyond competing with Siri and Assistant, and might give folks with a Windows PC and an iPhone or Android phone reason to install and use the Cortana app.